Broward County DUI defense lawyer Michael A. Dye believes that Florida House Bill 681 will limit a Judge's sentencing options for many first time DUI offenders. Florida House Bill 681 could prohibit a Judge from ordering both a vehicle immobilization and an ignition interlock for many first time DUI offenders. On February 29, 2012, the Florida House of Representatives passed House Bill 681. House Bill 681 would amend Florida Statute § 316.193. The bill proposes a significant change to Florida’s DUI sentencing laws. If passed by the Florida Senate, House Bill 681 provides that a Judge can sentence a first time DUI offender to either 10 days of vehicle immobilization or to have an ignition interlock installed in the offender’s vehicle(s) for at least 3 months. Michael A. Dye, a DUI defense attorney in Broward County Florida believes that Florida House Bill 681 will substantially restrict a Judge’s sentencing authority in first time misdemeanor DUI cases. Currently, Florida Statute § 316.1937 controls the placement of ignition interlocks on vehicle(s) that are driven by impaired drivers. Florida Statute § 316.1937 (1) permits a Judge, in the Judge’s discretion, to require an ignition interlock for a first time DUI offender. Requiring an ignition interlock is a cumulative punishment in addition to a vehicle immobilization and cannot be for a period of less than 6 months. Currently, a Judge is not permitted to order an ignition interlock in lieu of a vehicle immobilization. Florida House Bill 681 would change that by creating Florida Statute § 316.193 subsection 6(a)(2). The plain language of the amendment to subsection 6(a)(2) would require a Judge to choose between either a vehicle immobilization or an ignition interlock for a first time DUI offender. 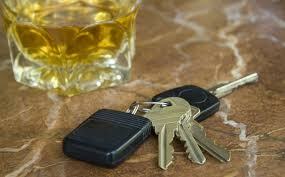 “House Bill 681 is one of those ‘get tough on DUI’ laws that are proposed and sometimes passed. A lot of times these bills are just for show. DUI’s are a usually a misdemeanor, but they are a political hot button. At the beginning of every legislative session, you can expect two or three DUI crusader bills. Some bills are laughable, some are scary and some, like House Bill 681, have unintended consequences. By the way I read it, if the Senate passes this amendment, a Judge will have to pick between the immobilization and the interlock. Currently, a Judge can do both. A more effective way to do this would have been to amend Florida Statute § 316.1937. Change the word ‘may’ to ‘shall’ and the Judge would have to give both an immobilization and an interlock,” stated Michael A. Dye, DWI Defense Attorney and in Fort Lauderdale, Florida. Michael A. Dye is a criminal & DUI defense attorney in Fort Lauderdale, Florida. Mr. Dye is admitted to the Florida Bar and the Southern District of Florida. Mr. Dye handles DUI, misdemeanor and felony criminal defense matters in Broward & Palm Beach Counties. More information on the firm and Mr. Dye can be found at http://www.AlcoholAndDrugLaw.com.